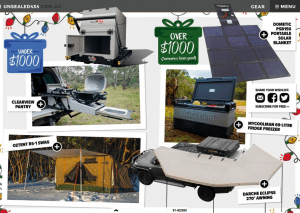 The Atlas46 Yorktown Tool Roll & the myCOOLMAN fridge have both appeared in todays issue of ‘Unsealed 4X4‘ magazine and their 2018 Christmas Gift guide. Keeping your tools organised always seems to be a struggle; toolboxes get messed up when travelling and they are guaranteed to be bulky. There always seems to be loose tools scattered throughout a 4WD, namely that illusive 10mm socket. The team at Atlas 46 have brought out the Yorktown Tool Roll in a bid to fix this issue, and it could be your solution to correct tool organisation. With four large front pockets, 11 spanner slot organisers and an additional seven multipurpose tool pouches, you will never lose a tool again. The tool roll has two sturdy handles, quick roll-up for easy storage and a lifetime guarantee. We think a Yorktown Tool Roll will look just as good under the Christmas tree as it does in the back of your 4WD. 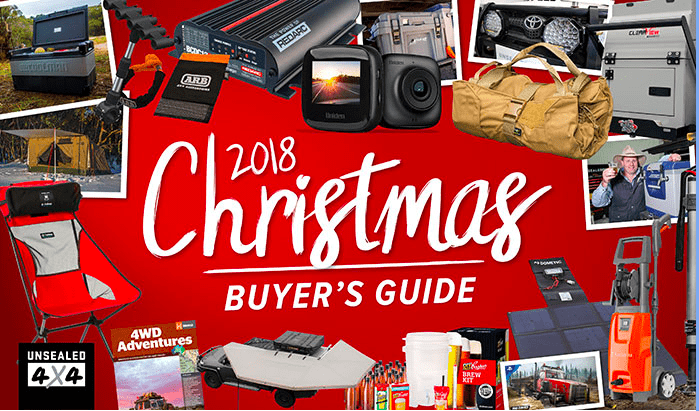 To see the full guide click here. myCOOLMAN have been working hard, and are the newest kids on the block in the Australian portable fridge freezer market. Being new to the market here allows them to include some of the most up-to-date features, with two-way opening lids, handy bottle openers on each end, as well as a clear, easy-to-read digital display. The 69-litre version has dual zone compartments, allowing you to control how you want your goods kept. The pièce de résistance is the Bluetooth app (because everything has an app), which allows you to control and change the temperature of the fridge while sitting by the fire. Looking for a new fridge, or maybe even a drinks fridge for when the in-laws arrive for Christmas lunch? Well, it’s worth checking out what myCOOLMAN has on offer. You can now get myCOOLMAN Fridge/Freezers from A247. Click here to check out the full range myCOOLMAN. 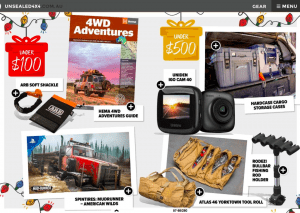 This entry was posted in Latest News and tagged atlas46, Christmas gift guide, fridge freezers, madeintheusa, mycoolman, tool roll, unsealed4x4, yorktowntoolroll.